Another total bargain from Glen Moray today with their peated expression, it’s NAS it’s 40% and it’s light enough to suggest there is no colouring added. 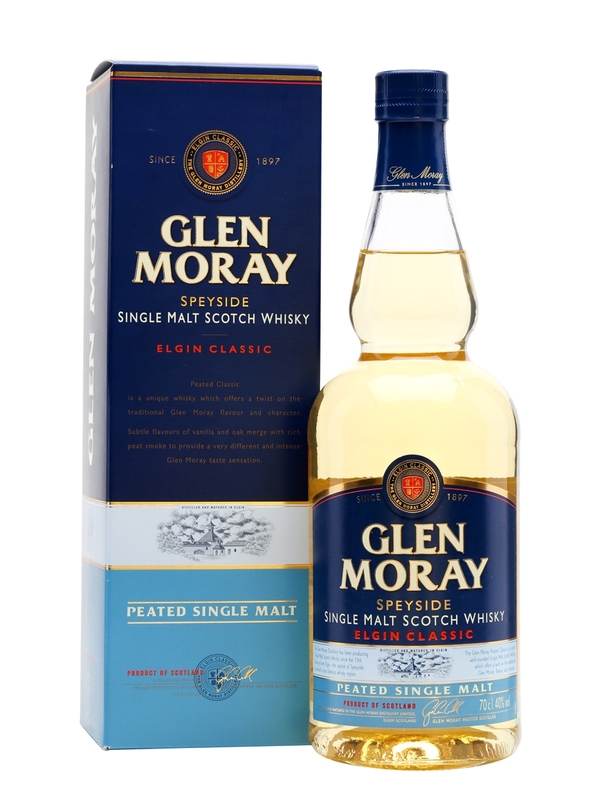 This is brought to you by the powers of Steve at the Whisky Wire and Glen Moray whisky as they provided the generous sample, that said, I’ve bought this bottle before I’ve just never got around to reviewing it. Glen Moray are what I’ll call an unfashionable distillery chances are if you remember them at all it’ll be for the highland soldiers they used to have on their tins but what they really are is a company offering some excellent whisky both “starter” whisky and some very complex drams indeed and all for very good value for money. This is a lightly peated version of their standard bottling and can be picked up for between twenty and twenty five pounds in the UK, look around though because it’s often on discount. Nose. Charred oak and light vegital peat smoke, easy going this, it’s not going to challenge you too much which is a good thing by the way, fresh warm candyfloss, Aniseed and something floral, Lavender maybe. Palate. Light and sweet peat smoke, cherry chew sweets, charcoal and a light icing sugar feel too. Finish, short and sweet, a lovely warmth and leaves a nice coating in the mouth too. I would buy this again, it’s very well priced, it’s widely available and it’s a well made easy drinking dram. It reminds me in part of Ardbeg Blasda which I loved, it was an easier drinking number which many mocked for missing the point of Ardbeg but I think it was a drink which introduced me to peated whisky and I’m sure this bottle from Glen Moray will do the same.